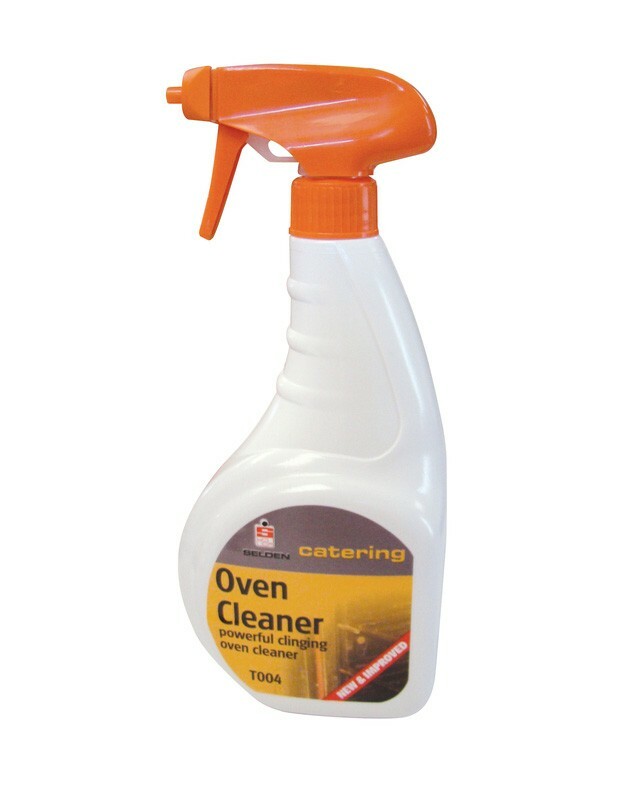 Selden Oven Cleaner easily and effectively removes baked on blood and food residues from ovens, hobs and grills. Packaged in a easy to use trigger spray bottles for easy application. Do not use on aluminium or galvanised metal. Low odour - meaning no nasty fumes whilst cleaning. Contains a pH of 13.5. Full case pack size - 6 x 750ml triggers. 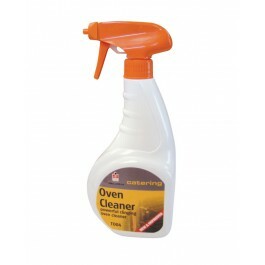 For optimum efficiency warm up the oven and then switch off before application of the chemical. (Do not apply to hot surfaces). Apply an even layer of the product to the soiled surface, ensuring the soiled areas are coated with the product. Leave the Oven Cleaner for a period of time as indicated in below. Wipe off with a clean, damp cloth and rinse with clean water. CLEANING TIMES: Light grease - 1 minute of contact time before cleaning. Heavy grease - 5 minutes of contact time before cleaning. Baked on grease - 2 hours of contact time before cleaning.